In May 2018, Google and National Institution for Transforming India (NITI) Aayog had jointly signed a Statement of Intent (SoI) with an objective of developing growth in India’s Artificial Intelligence (AI) and Machine Learning (ML) ecosystem through a variety of initiatives across the country. Now, almost two months later, Google has brought the free Machine Learning Crash Course (MLCC) Study Jam series to India. According to Google, AI has helped farmers detect the onset of crop infections, enables doctors to identify the occurrence of diabetic blindness among millions and many more. Through this course, the company aims to enhance developers’ technical proficiency in ML, enabling them to apply cutting-edge methods to help take on a range of practical challenges. 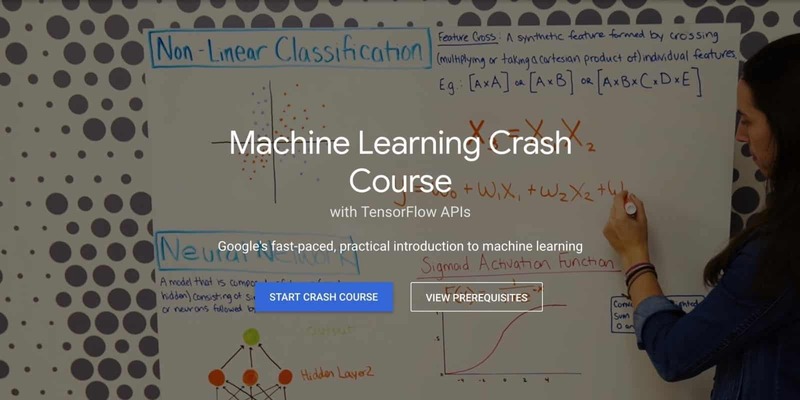 MLCC is Google’s flagship machine learning course, initially created for Google engineers and was taken up by more than 18,000 Googlers. The tech giant will train Indian developers in the field of ML with the same course as part of the program. Recently, the course was made available to the public with a view towards “making AI and its benefits accessible to everyone”. MLCC offers exercises, interactive visualizations, and instructional videos that anyone can use to learn and practice ML concepts. Since this is a free course, MLCC is intended for those who wish to learn about ML from a practical, applied perspective that will enable them to understand TensorFlow and incorporate best practices into their everyday projects. Further, this course is also suitable for developers with basic machine learning knowledge, who are eager to gain experience in ML and TensorFlow. For more details regarding the free course, you can visit the website and apply for a study jam here.